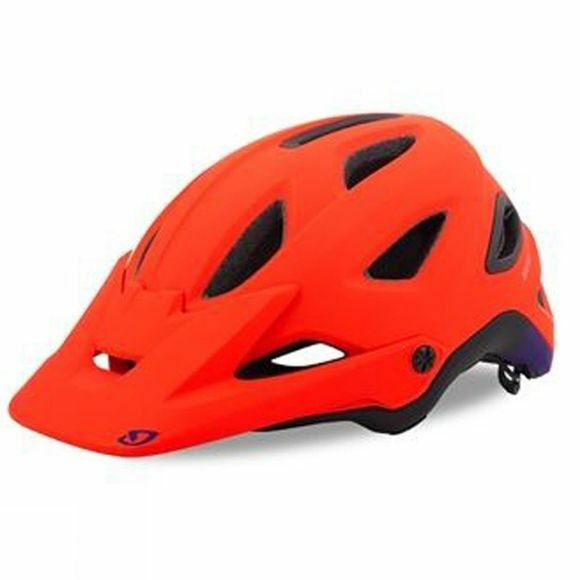 From long climbs to rowdy, technical descents, the Giro Montaro MIPS helmet inspires your ride no matter where the trail takes you. Its compact shape offers deep, confident coverage, and the Roc Loc Air fit system boosts ventilation while improving fit. In addition to this helmet’s already impressive cooling power, it’s outfitted with hydrophilic, anti-microbial pads that can absorb up to ten-times their weight in sweat. The Montaro MIPS to has full goggle integration, with strap grippers on the back of the helmet, and a P.O.V. Plus visor that allows you to lift the visor and place your goggles on the front of the helmet. Yet another great feature is the full camera mount integration – a clever break-away interface for your favorite light or camera.